3M™ Black Privacy Filters for touch-compatible laptops deliver world-class effective "black out" privacy from side views. 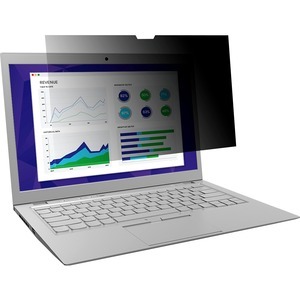 One of our thinnest privacy filters, designed for today's thinnest devices. The satin-like matte finish is smooth to the touch and provides incredible image clarity, making it great for high-resolution screens. From 3M, a leader in touchscreen privacy.